YBC is a licensed and insured residential and commercial construction and remodeling company. 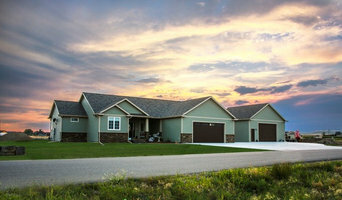 We specialize in the custom renovation and construction of homes mainly in Billings, Montana and in Yellowstone County. We work on projects of all scales and styles, focusing on quality, sustainable construction practices and superb customer service. With being on the job, you can trust that we will approach your project with the expertise of experienced professionals. We pride ourselves on our excellent customer service and personal attention. We will personally oversee every step of your construction project from inception to completion, solving problems and creating solutions every step of the way. It’s been close to 40 years since Jeff Junkert built his first home. Since then, he’s earned a solid reputation of constructing stunning, new homes with a personal and customized touch. His commitment to building not only the highest quality of homes but also being an innovator in the construction industry is one of the reasons why Jeff has been voted “Builder of the Year” multiple times. I pride myself on being a “hands-on” builder. Quality construction and customer satisfaction is my #1 goal. My love of construction began as a child helping my parents remodel their homes in Billings,MT. That led me to take such courses as drafting, electrical/electronics, and tech ed in high school. I then continued my education at Montana State University-Billings majoring in Business Administration with an emphasis on Management. I took elective courses such as welding, construction estimating, and more drafting. Ever since high school, the plan was to open my own construction company. During high school I worked for a local landscaping company in the summers, where I eventually became a foreman running a crew. During college I worked various full and part time jobs such as truss builder and carpenter for a local framing crew (where my love for carpentry exploded). Watching a pile of lumber turn into a house gave me huge satisfaction in my work. After college I worked for a local high-end remodel company where I learned other aspects of construction like cabinetry, trim, drywall, painting, and concrete. Being a part of the whole project was very rewarding. 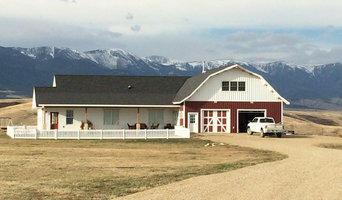 My dream finally became reality in November of 2011 when I opened Albaugh Construction focusing on the greater Billings area. It was a very scary time, as I had just learned that my third daughter was on the way. I pushed through and had a great first year. I am continuing to fine-tune my business and hope to provide you with the highest quality construction that we can both be proud of. 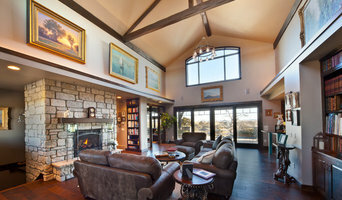 Kisling Quality Builders has set the standard for truly custom home design and impeccable quality in Billings, Montana. Our top-notch team, designers and skilled contractors are genuinely interested is capturing the vision for your home… down to last detail. We go far beyond a few choices of floor plans. No cookie cutter plan fits the true home of your dreams. With our guidance at every turn and your creative input, we deliver elegance, function and the special touches that make your home uniquely yours.